Micrortek Solar UPS is integrated with an in-built 30Amp Solar Charge Controller, which enables the conversion of solar power to electricity. Micrortek Solar UPS always gives first preference to SolarPower. It runs the load from Solar Power whenever it is available. It switches to the Mains Power only when the Solar Power is not available. The SOLAR UPS has been specially designed, so that you get maximum benefit from the sun, Solar UPS will cut down your electricity consumption. Upto 1000W Solar Panel for SS1660. >> The sun is the most well distributed natural source of energy and solar power harnesses this abundant resource. As energy conservation is the need of the hour, Solar energy based applications are fast catching-up.Microtek?s SOLAR UPS provides access to this free source of solar energy. >> The New Generation Range of UPS Sinewave Solar are based on DSC (Digital Signal Controller) technology. 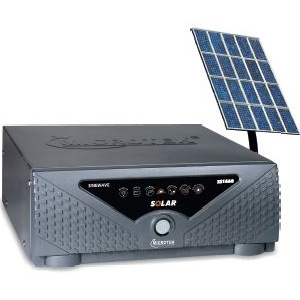 >> Specially designed Sinewave SOLAR UPS Model for backup for computers. >> Microtek Solar UPS is Integrated with an in-built 30Amp Solar Charge Controller, which enables the conversion of solar power to electricity. >> Dual Charging Mode - MAINS Mode & SOLAR Mode. Best for Long Power Cuts / Rural areas. >> While charging battery from Solar Power as against Mains, 98% of efficiency is delivered. 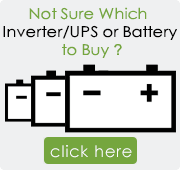 >> Microtek Solar UPS always gives first preference to Solar Power while charging the battery. It senses the availability of Solar Power/Mains Power and gives charging preference to the Solar Power Charge and switches to the Mains Power only when the Solar Power is not available. >> The UPS has been specially designed, so that you get maximum benefit from the sun and charging from Solar Panel will cut down your electricity consumption while charging from mains. >> You will get Longer BACKUPS during powercuts, as the UPS will use power from the solar panel also. >> Highly Efficient Transformer, helps in Fast charging of the battery & Saves Energy. >> It increases the life of Battery as a Solar PV panel converts sunlight directly into pure direct current(DC). >> Bypass Switch- This additional bypass switch enables you to isolate your UPS from mains, whenever needed. UPS Transfer Time < 15 msec.